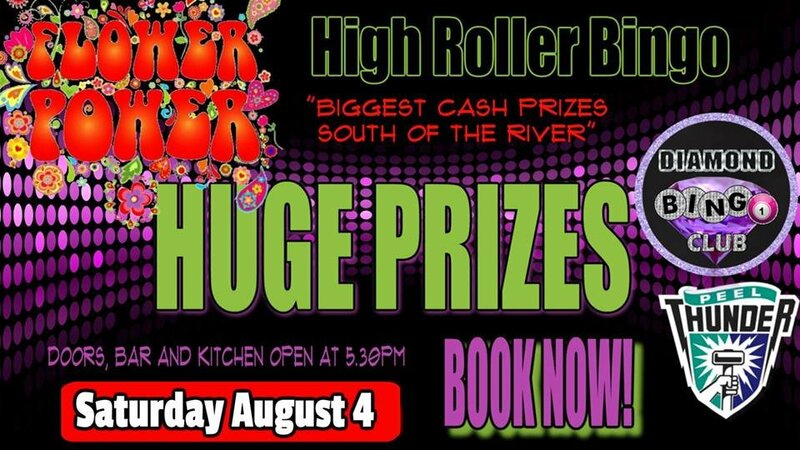 It's time to get on down and Get Groovy at the Diamond Bingo Club "Flower Power High Roller Bingo" event coming to you on Saturday July 7. Come and play for HUGE CASH Prizes and help support Mental Health in our community! Show us your Groovy style and you could Win a great prize or just come along in smart casual attire for a great night out! Join us at Peel Thunder's fabulous Bendigo Bank Stadium, you'll love it! More info to come - Stay Tuned!